The Sports Medicine Clinics offers a range of sport or non-sport injury treatments for any member of the family and is only a short 15 minute drive from Bexley. 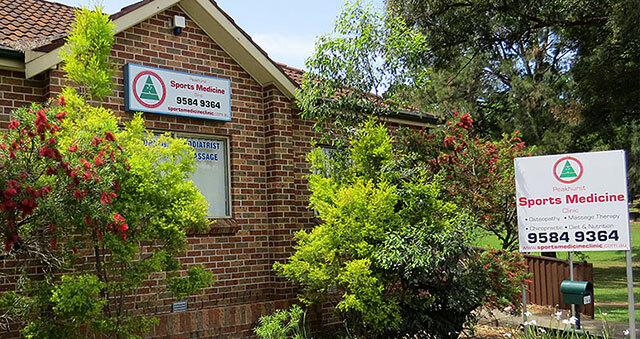 Our clinic specialises in a treatment method known as osteopathy, a safe and effective manual medicine. Osteopathy is a school of medicine that views the body as a whole, functioning unit. This principle allows us to treat our patients in the most comprehensive and complete way possible. Rather than simply diagnosing the injury, using osteopathy we diagnose the cause and the effect that the injury has on the body. Under the principles of osteopathy, the structure and the function of the body and inter-related, as a result the long-term impacts on injuries on the body can be severe. In order to prevent repeated strain injuries or to treat repeated strain injuries, osteopathy is an excellent treatment option. For osteopathy in Bexley visit Sports Medicine Clinic. Sports Medicine Clinics also provides Chiropractic treatments options for patients in Bexley. Chiropractic is a health profession that is concerned with the diagnosis, treatment and prevention of musculoskeletal disorders. This treatment method is safe and effective for all members of the family.